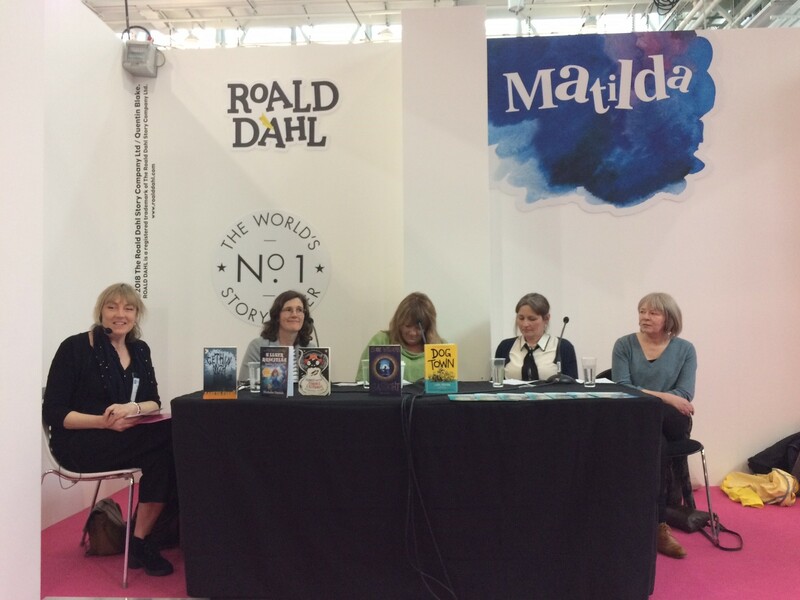 Elena Schmitz gives us an insight into this year’s London BookFair – from a Welsh perspective. For the first time, Wales had its own stand, rather than just individual Welsh writers and publishers attending. Here is an account of what it was like. London Book Fair 2018 (LBF18) took place again in April this year at London’s impressive Olympia venue on Kensington High Street. Now in its 48th year,LBF is one of the most significant global marketplaces for publishing, and sees more than 25,000 publishing professionals arrive in London for the week of the Fair. Though primarily a sales and rights fair, increasingly content features strongly with well-curated and attended events and activities across several stages. 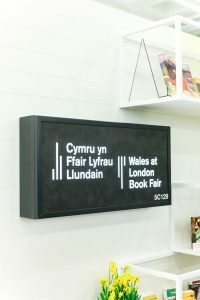 Whilst many individual publishers, writers and literature professionals from Wales have been attending and taking part in LBF regularly for a number of years (sometimes decades), a coherent, branded stand presence representing Wales and its varied and vibrant literature sector as a whole has been missing. These partners have formed the International Literature Stakeholder group to ensure a better connected sector and to maximise international opportunities for literature from Wales and raise visibility and awareness internationally. By working collectively on the Wales at London Book Fair stand, the International Literature Stakeholder group aimed to support writers, translators, publishers and the literature sector in Wales through international activity, and to improve opportunities for commercialisation and economic sustainability in the sector through international engagement. 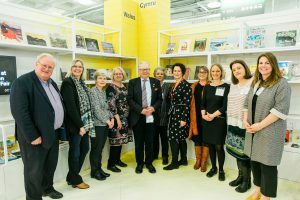 The idea was to facilitate greater visibility of literature from Wales at the fair and to utilise the stand to showcase some of the best current titles in Welsh and English across diverse genres. The underlying belief is that Wales has a unique and distinctive national, bi-lingual literary culture and a flourishing independent publishing sector that contributes to the creative, economic and community well-being of Wales. 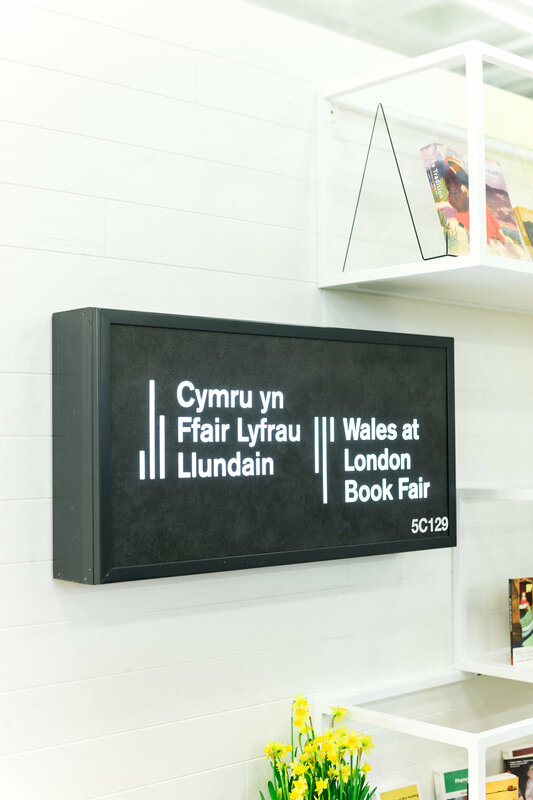 Wales at London Book Fair 2018 was a pilot initiative with a view to establishing a regular presence for Wales at this and other key international book fairs, as well as international industry-focused literature events. The Wales at London Book Fair stand provided an opportunity for fair visitors, delegates and industry professionals to meet some of Wales’ award winning publishers and leading literature organisations, to take part in the Insights Seminars with a Welsh focus, to discover new stories from Wales and to browse the books on display. It also acted as a hub for the many rights and sales negotiations that took place, taking Wales’ writing to wider audiences and bringing new literary voices to readers in Wales. 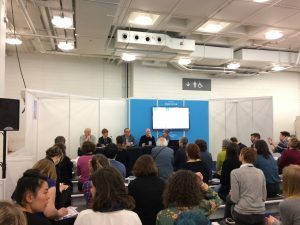 Highlights of the programme included the twentieth anniversary of Wales Literature Exchange and two Wales-themed events as part of the industry focussed LBF Insights Seminars Programme. The first of these, Wales and Scotland – Indigenous Languages of the UK in Contemporary Literature explored the challenges and opportunities in writing and translating (some of) the many voices of the British Isles, including Gaelic, Welsh and Scots. The event featured Ifor ap Glyn (National Poet of Wales) in discussion with Welsh authors Alys Conran (Wales Book of the Year winner 2017), Sian Northey and Scottish writers Angus Peter Campbell and James Robertson. It was further delivered in partnership with Scotland’s arts funding body, Creative Scotland. The second Wales-themed Insights Seminar – Wales and the New Magic Realism in Children’s Publishing – saw authors Eloise Williams, Bethan Gwanas, Siwan Rosser and Catherine Fisher discuss the importance of growing indigenous voices in children’s publishing in Wales in English and Welsh, chaired by Penny Thomas from Firefly Press, the acclaimed publisher for children and young people. 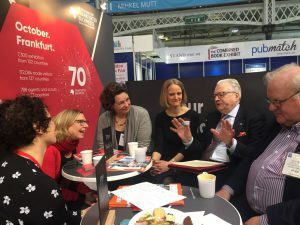 A number of Welsh publishers also participated in the London Book Fair Market Focus which, this year, saw a spotlight on the literatures and publishing industry of the Baltic States. Wales’ Culture Minister, Dafydd Elis-Thomas spoke at the official reception for Wales at London Book Fair and a number of high-profile meetings were arranged with him to discuss the future of Wales’ presence at this and other key international publishing events and initiatives. These meetings included discussions with the Lithuanian Culture Minister about their country’s involvement with the Market Focus at LBF, as well as meetings with senior representatives from Frankfurter Buchmesse about Wales featuring there in future. Discussions were very encouraging and are ongoing. The Culture Minister also publicly pledged his support for a future presence of Wales at LBF. It’s an interesting time for the literature sector in Wales and for organisations working together on international activities. Watch this space, you will hopefully hear more about authors from Wales in Germany in the future.